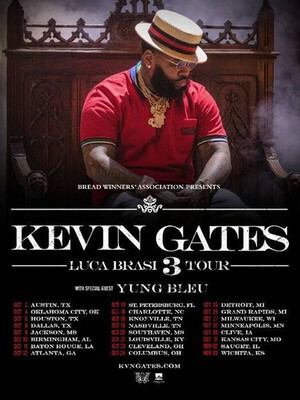 Outspoken gangsta rapper Kevin Gates returns to the stage for the hotly anticipated 'Luca Brasi 3' North American Tour this fall, bringing his distinctive blend of southern hip hop, hook-driven lyrical knockout punches and street cred along for the 24-date ride. Born and raised in Baton Rouge, the rising icon made a name for himself on the underground mix-tape circuit before hitting the mainstream with his Top 40 charting mixtape Stranger Than Fiction. The subsequent release of multiple mixtapes upped the Gates' profile, garnering support and collaborations from contemporaries like Pusha T, Juicy J and Wiz Khalifa, before the rapper made his fully-fledged album debut in 2016 with the critically acclaimed Islah, named for his daughter. An overwhelming success, the offering showcased an eye for detail, melody and mood, and chronicled a fascinating saga about his rags to riches story filled with emotion, violence, determination, hedonism, tenderness and self-actualisation. In an industry of trend chasers, Gates sticks to his guns and remains a true original. Sound good to you? 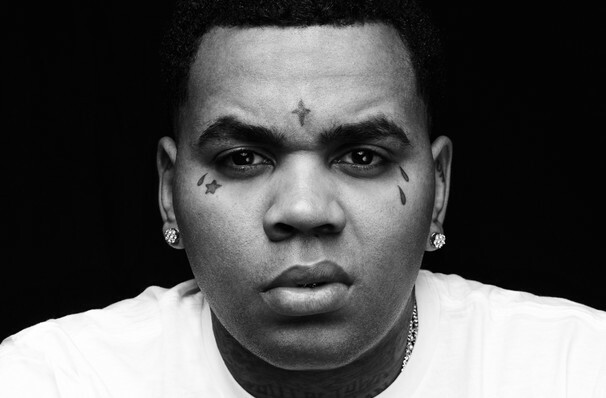 Share this page on social media and let your friends know about Kevin Gates at Moran Theater. Please note: The term Moran Theater and/or Kevin Gates as well as all associated graphics, logos, and/or other trademarks, tradenames or copyrights are the property of the Moran Theater and/or Kevin Gates and are used herein for factual descriptive purposes only. We are in no way associated with or authorized by the Moran Theater and/or Kevin Gates and neither that entity nor any of its affiliates have licensed or endorsed us to sell tickets, goods and or services in conjunction with their events.